Get 3-5 more packs! 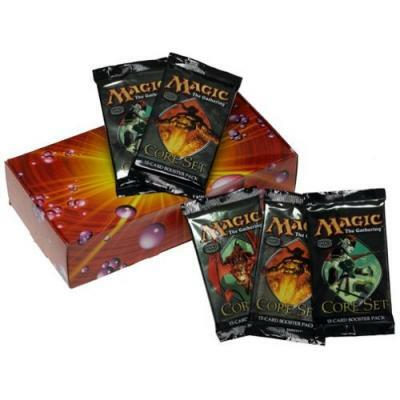 A usual Magic the Gathering Pack contains 15 trading cards game. Each Magic the Gathering Betrayers of Kamigawa Booster Pack contains 15 cards per packs. Betrayers of Kamigawa follows the larger set Champions of Kamigawa expansion that introduced the Japan/Spirit World where kami(spirits) and samurai ran rampant. Betrayers of Kamigawa finds the material world and the spirit world engaged in a fierce war. Players will want to get the latest cards to enlist the aid of the greatest legends of Kamigawa to make sure they're on the winning side. Betrayers of Kamigawa feature 165 black bordered cards, available in standard and premium versions. Several different booster packs are presented at our recommended stores. Read details carefully.